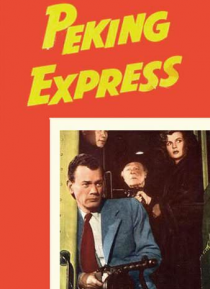 Peking Express is a 1951 adventure film and it is the second remake of Paramount's earlier Shanghai Express (1932). It was directed by William Dieterle and produced by Hal B. Wallis, from a screenplay by John Meredyth Lucas, based on the original screenplay by Jules Furthman and Harry Hervey. A group of refugees fleeing Chinese Communist rule via train are beset by a gang of terrifying outlaws.